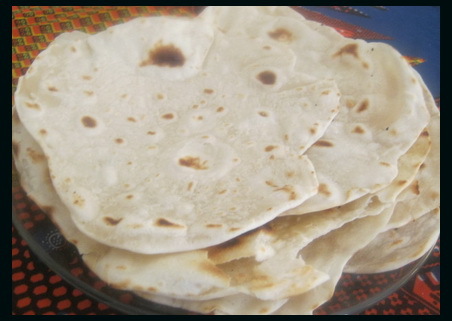 Chapati is a flat, soft and thin bread. 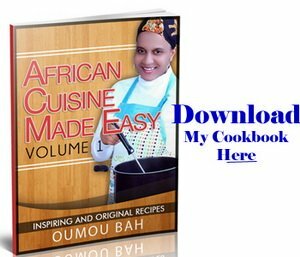 It is enjoyed all over East Africa but the recipe is originated from India and brought to East Africa by the Indian traders centuries ago. It can be served with stews for lunches or dinner or with butter for breakfast. It can be made with whole wheat flour, All-purpose flour or mixture of both. Step2: Add the flour in the salted water and use your hand to mix well. Then add the vegetable oil and mix well. Step3: Gradually pour the remaining water on flour mixture while mixing until the dough form a ball and is soft. You dough should not be sticking to your hand at all. If the dough is sticking add a little more flour or if it is too dry add a bit of water. Step4: Transfer the dough on your kitchen counter and knead it for 10 minutes. You movement should be fast and energetic. When you finish kneading your dough, it should be smooth, soft and elastic if it is not knead again. Kneading the dough is very important if you don’t want the chapatti to become hard. Step5: Pour a generous amount of vegetable oil on your hand and divide the dough into 5 small balls. Then cover with a napkin and let them rest for 15to 20 minutes. Step6: Use a rolling pan to flatten the dough balls into a round shape until quite thin. if the dough is sticking to the rolling pan sprinkle with a little bit of flour. Step 7: Heat a non stick pan on medium high heat and add the chapati. Wait for 45 second or till you see bubbles over the top, then flip and cook the other side. You can brush the chapattis with vegetable oil on top. The cooking time should not exceed 2 minutes. Remove and cook the remaining until done.